Robert and Jennie, below is the formula that Best of US Homes has developed for selling luxury homes. If you’ve had difficulty selling your home on Agusta Way in the past and would like to work with us, we’d be happy to assist you in future efforts. If you’re currently working with an agent and having difficulty selling your home, feel free to share this formula with them. Your home on Agusta Way is a unique home and it will require a unique buyer; you’re not selling a Ford, you’re selling a Ferrari. To find Ferrari buyers, you’re going to have to identify them then market to them. We suggest you start with a video that shows your Ferrari buyers why they need to come to your home and test drive your home. Using MLS past sales data, we can identify all the homes that have been purchased within greater Birmingham in any price range or any neighborhood from 2000 to 2013, thus having lived in their homes for over six years. This will produce your Target Market #1 for your home. 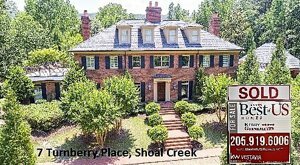 As an example, this data would produce a list of 24,200 potential buyers for $750,000 to $3,000,000 homes in the greater Birmingham market. That might seem like a substantial number, but it effectively reduced your target market from 460,000 Birmingham households to 24,200. There are over 3,600 active real estate agents in the Birmingham market, 150 of them sell 96% of the homes priced at $750,000 or more. There’s a 90% probability that an agent other than your listing agent will bring your eventual buyer to your home. These 150 agents are your Target Market #2. If you have your home up for sale, there’s an 85% probability that you’ll be in the market for a new home once you sell your current home. 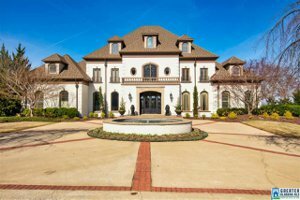 There are currently 710 listings in Birmingham for homes valued at $500,000 or more, 603 of those sellers will be in the market for a new home, 362 of them will buy a home within a 3-mile radius of their current home; this is your Target Market #4. Facebook Advertising: The Pew Survey found that 79% of adult Internet users logged into Facebook at least once a week and spend an average of 20 minutes per visit. By uploading our 24,200 Birmingham homeowners (Target Market #1) into a Facebook custom audience we can direct advertising for your home directly to your potential buyers. The ad should consist of a two-minute intro video of your home as well as a link to a dedicated webpage featuring an eight minute “walk and talk” video presentation of your home. The website should then gather the IP address of the viewer of your video and remarket your home to them throughout their continued internet use. Such a program will create awareness of your home and even if these viewers aren’t in the market for a new home, they may know someone who is looking for a home just like yours, thus potentially reaching your Target Market #3. Through awareness you’ll generate showings and showings lead to a sale. Other Agents: There’s a 90% probability that an agent other than your listing agent will bring your buyer to your home. These 150 agents, your Target Market #2, are highly motivated to swiftly find the perfect home for their buyers. Each of these agents need to be made aware of your home, this can be achieved by sending each of these agents a link to your “walk and talk” video presentation. This can easily be achieved through email and can be repeated at any opportune time. Zillow and Trulia: 90% of all US real estate transactions begin on the internet and the biggest players are Zillow and Trulia. This is particularly true for out-of-town buyers, your Target Market #3; ask yourself if you were moving out of state where would you start your search and what would you look for? Professional photography, drone photography and video are a must. Current Sellers are Future Buyers: These current sellers, your Target Market #4, are easily identified by downloading their names and addresses from the MLS listings. You should add these names to your Facebook custom audience as well as send them a “Just Listed” letter making them knowledgeable of your home. Friends and Family: The average American has an email list of 649 addresses consisting of friends and family, church, synagogue, and club members. You may know somebody who knows somebody who might be interested in your home. Why not send them a link to an 8-minute video of your home. Your primary goal is to get prospective buyers through your front door. If your home is priced right and presented right, it will sell but you can accelerate the process with some on-hands involvement. Predictive Analytics: Why do some homes sell quickly, and others linger on the market? By using Predictive Analytics, you can compare your home to those homes that have sold and those that have not sold in your neighborhood and determine the probability that your home will sell in the average days on the market for your neighborhood. The MLS sales data provides over 500 data points to compare, this analysis will result in a 90% accuracy as to how long it will take your home to sell at any given price. It’s then your decision as to what your priorities are; get top dollar or sell and move on to your next dream. Showings: Showings lead to sales; a potential buyer and their agent preview your home to determine if they have further interest. Your agent should attend all the showings of your home; first they need to protect your property, second, they will want to gain feedback from the potential buyers, third they will want to be present to answer any questions and finally they’ll want to know the buyer and their reactions should they enter negotiations. This practice is contrary to the real estate industry standard; less than 5% of listing agents attend their showings. Dedicated Website: Your agent should have a dedicated website, with the assistance of Google Analytics they can track every visitor to their website and thus determine which of their marketing efforts are producing the best results. Your agent should drive traffic to their website using direct mail campaigns once a month, email campaigns once a week, Facebook posts three times a week, LinkedIn campaigns once a month, and YouTube channel postings of once a week. These efforts will produce an average monthly website traffic of 800 visitors and 1,700-page views and YouTube traffic of 2,500 viewers for over 150 hours of viewing per month. That’s our formula for selling luxury homes in 2019. Why are we openly sharing our proven process? Robert and Jennie, we’re in the middle of the Baby Boomer Sell-Off approaching the Baby Boomer Die-Off, Boomers own 75% of the luxury homes in Birmingham. Generation-X is 25% smaller than the Boomer generation, shortly after they bought their first home they were devastated by the sub-prime crisis, therefore there are twice as many sellers as buyers of luxury homes in Birmingham today; MLS statistics show a 49% annual sell through rate on homes offered for $750,000 or more. The Millennials are saddled with education debt. Economics and demographics are working against you; you’re going to need to do more than put a sign in your yard and create an MLS listing to sell your home. In short, you’re going to need all the help you can get to sell your Agusta Way home.